This story is a fictional account surrounding events that occurred almost 100 years ago. A New York dancer travels to Northern Arizona, and makes a life for herself, and her husband, in a rugged land of high cliffs, endless sky, and wide open spaces. I hope you enjoy what my imagination has come up with. Now, I’d like to introduce you to Blanche, a woman who tamed the wild west. The year is 1919. The war to end all wars had ended just a short twelve months before, and soldiers are returning home with their pockets full of cash and fire in their eyes. The economy of the United States is the best it has ever been, and being a citizen of the wealthiest nation on earth is a heady experience. She’s a dancer in one of the world’s greatest vaudeville shows—the Ziegfeld Follies. New York is the center of the universe. What she didn’t count on is that her love for her husband is stronger than the pull of the limelight and fortunes that await her. Blanche Russell is married to a man who is diagnosed with pulmonary tuberculosis. His breathing is becoming more and more labored as time wears on. He’s continually tired, losing weight, and coughing up blood with more regularity. This condition has no cure. Blanche knows that staying in New York is an early death sentence for her husband. Unbeknownst to Bill and Blanche Russell, the cure for his disease is but a year away. However, Blanche knows that to save her husband they must, together, do something—and do it quickly. So, in early 1920 they begin a journey that will take them to a place they did not know existed. It would be like traveling to the dark side of the moon without a flashlight or telescope. In 1920 Bill and Blanche Russell loaded up their Detroiter Touring car. It was new only three years prior and, after purchasing it from a widow, Bill had kept it in good condition, so they put their faith in the automobile, and not the tried and true conestoga wagon and team of horses. Early in the morning of February 19, 1920 Bill slowly let out the clutch of the Detroiter, and holding hands with the love of his life, rolled down the street, traveling towards the city limits, somewhere off to the west. Bill and Blanche left New York hoping to find relief for Bill’s symptoms. It was a known fact at the time that the dry climates of the west would greatly improve Bill’s condition. 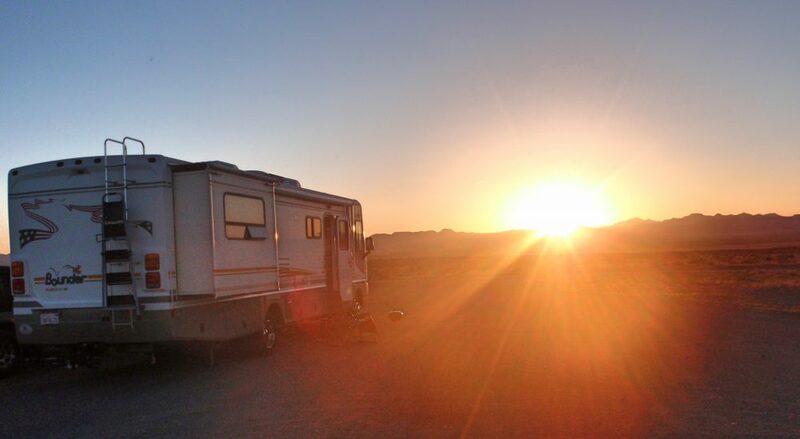 So, the couple, carrying all their belongings, set their sights on Utah. They had kin in the southern part of the state and their destination was the home of a distant cousin in Cedar City. They never made it. After crossing the Colorado River at Lee’s Ferry in Northern Arizona, the Detroiter gave its last cough. Bill was more fortunate than the overworked automobile. He was gaining back the strength his illness had been taking from him. He could now breath without pain, something he had not been able to do in New York. Blanche was the happiest she had ever been in her life. Her husband was showing signs of regaining the health and heartiness she had seen when she first fell in love with him. This spot, where their car quit on them, was going to be their home. She had made up her mind, and her decision was final. Blanche O’Brien came from strong, hearty, Irish stock. Her great-grandparents had immigrated from Ireland in 1847, at the height of the famine, a time of mass starvation in the European country. Born in Brooklyn in 1897, Blanche was raised in a strict Catholic home. Her father, and his father before him, as well as her older brother, were proud New York City policemen. Her mother was strict and demanded much of the growing girl, but Blanche had other things on her mind. She was a strong willed child who grew into a woman that knew what she wanted out of life, and was willing to do anything to get it. Women’s suffrage held her attention for awhile, but it was the draw of the footlights of the theater that finally pulled her in. The Follies. Oh, what glamour and fame awaited her. She was going to be the star of the show. That is, until Bill Russell walked into her life. The tall, dark headed stranger in uniform captivated her. He was all she could see that night he walked into the theater and set in the second row. She made up her mind that he was going to be hers. No discussion. It was settled. Bill Russell fought in the trenches of Western Europe during the war to end all wars. He, along with many of his fellow soldiers, returned a hero. He had survived. Shortly after his return, Bill married Blanche O’Brien. As his wife, she took his name. Blanche continued to dance in the Follies, while Bill began his career as a fireman for the City of New York. Life was perfect. Children would soon follow. That was the plan. Not long after they were married, and he began fighting fires in the downtown high rises, Bill fell ill. At first it was not bad, but he soon began not feeling quite himself. He was tired and had a persistent cough. Blanche was worried. So many soldiers had returned from war with physical ailments. Surely, Bill could not be one of the stricken. When Bill was diagnosed with pulmonary tuberculosis Blanche swore that he would not be taken from her. She prayed, cursed, and pleaded with God. She would find a way to make him better. With, or without, His help. After several months of seeking medical advice throughout the state, Blanche came upon the idea that the path to Bill’s wellness lie in the west, a land of warmth and much less humidity than her home state of New York. She was sure that somewhere west of the Mississippi was a place where Bill would be able to breath and eventually retain his health. A place where a person could stretch, and did not feel overrun by a multitude of people roaming the streets. When their car quit on them the young couple was parked next to a small stream. The area was beautiful. Blanche could not stop staring at the high cliffs around her and the endless sky above her. Long into the night she sat and stared at the stars, while Bill slept peacefully nearby. As the sun was peaking above the cliffs to the east, Blanche came to a decision. This was going to be their home. When their car broke down the young couple had just come across the mighty Colorado River by ferry at the only crossing for hundreds of miles—a place called Lee’s Ferry, named after a fugitive on the run from the law. The man had been sent into the area by Brigham Young, after being implicated in a deadly against unwanted settlers in the area south of Cedar Creek, Utah, the town that Bill and Blanche Russell had set their sights on, but never reached. When the sun rose on that first day, Blanche was in awe of what she saw. She looked east, towards another row of high rising cliffs, and witnessed one of the most beautiful sunrises she had ever seen. The land before her hid the canyon that the massive Colorado called home. The canyon that John Wesley Powell had named Marble Canyon. It looked so peaceful, but Blanche suspicioned that the land held secrets of violence that could never be told. It would take a strong individual to live here. Blanche was not sure she was up to the task—she only knew that she had to try. Bill slowly sat up and took a deep breath. A breath that did not include pain. Just a few short months prior, that simple act of taking in air would have led to a fit of coughing that would incapacitate him and make him wish he were dead. Blanche lovingly gazed upon her husband. For him, and his new found health, she was going to make this place their home. Without trees to cut for lumber, the young couple began building a small structure from the rocks and boulders that dotted the landscape. They enlisted the help of some of the young cowboys in the area, trading labor for home cooked meals. In no time at all they had a small building with a roof. One of its walls consisted of a large boulder that looked like it had come from somewhere up on the cliff, eons ago. The other three walls, and fireplace, were constructed of stone that was littered the area around them. A few solid beams were laid across the structure, supported by two of the walls, to be the foundation for an eventual permanent roof. To begin with, though, they covered their home with sod pulled from the surrounding desert. They finished their building project a few scant weeks before winter arrived. That first year was a tough one. It was a cold winter, with temperatures plummeting to below the freezing mark, and several days snow fell from the sky. The winter weather did not match that of New York, but the young couple struggled to survive that first winter. The lack of timber close by forced the couple to travel long distances to retrieve firewood, and quite often they resorted to burning dried cow patties they collected from the desert floor spread out before them. Several times the idea of leaving, and returning to New York, came up in discussion, but Blanche would not hear of it. This place, next to the small stream called Soap Creek, was going to be their home. It was peaceful and quiet, and Bill was healthier than he had been since he went off to war. No, they were not moving, and when Blanche put her foot down, the decision was final. By the end of that first year Blanche had made a name for herself. Her home-cooked meals were gaining a reputation. Word spread fast across the land, and soon many of the hired hands from the ranches in the area were stopping by for the good food, good company, and news of the world. Bill was traveling to Lee’s Ferry for supplies, and, while there, would gather information of what was happening throughout the country. This news was the basis for discussions that would last well into the night. The home of Bill and Blanche Russell was the center of life for the area, and people, mostly the rugged men who called this desert home, would flock from miles around just to eat, drink, and enjoy one another’s company. The 18th Amendment, and the Volstead Act, had put a stop to the sale and consumption of alcoholic beverages in the United States. It did not, however, stop the visitors to Blanche’s kitchen from bringing their drink, much of it squeezed from the stills that were hidden in the high country to the west. This led to some good times and wild parties, and helped to grow the legend of the little town next to Soap Creek. Within a couple of years there were several outbuildings and a few more homes on the property. The men and women who came from miles around began to refer to the dozen, or so, people who lived in the shadows of the Vermillion Cliffs as Cliff Dwellers. The name stuck. It wasn’t official, but everyone knew who, what, and where Cliff Dwellers was, and Saturday nights it was the place to be. The only thing that put a damper on the weekly get togethers was the few weekends out of the year that weather slowed things to a crawl, or those times when Bill was felled by a relapse of the deadly tuberculosis that had invaded his body. The Immigration Act of 1924 was a major topic of discussion at Cliff Dwellers. Many of the people who settled in the area were descendants of immigrants to this country, and the limits placed on the number of people from other countries allowed into the United States had a polarizing affect on the little community. A few were for, and many against, the Act. The most talked about act of the government that year, though, was the law signed by President Coolidge on June 2, 1924. This law was designed to grant citizenship to the Native Americans of the country. It did not accomplish all it was supposed to, and with the Navajo and Hopi Reservations nearby, the discussions in Blanche’s kitchen were heated, and many times stretched well into the night. Blanche did not involve herself with political discussions. She thought only of the health of her husband, and the state of her small community. Bill mostly enjoyed good health while living in the comforting shade of the Vermillion Cliffs, but there were days when his body could not withstand the ravages of the tubercular bacteria. It was during those times when Blanche would fear the worst. She could not envision a life without the man she loved. She could not imagine returning to her family in New York, and she knew she would not want her life to go on without Bill. When the coughing fits would overtake his body, Blanche would be by his bedside, both day and night, until he was able to breathe comfortably again. This did not occur often, but when it did Blanche closed the doors on her kitchen and tended only to her husband. The small community would then settle into a quiet existence, and the talk throughout the area would be about what life would be like without Bill and Blanche Russell. Days ran into weeks, and weeks marched into months, and the months slowly piled up in anticipation of the coming years. What began as a small home nestled against the Vermillion Cliffs soon became a community that rivaled nearby Lee’s Ferry. What started out as a small home for the couple became a gathering place for the people that called the area home. Blanche’s home cooked meals drew many a cowboy off the range and into her kitchen. At Blanche’s insistence, Bill erected small buildings on the land surrounding their home. These outbuildings they rented out by the night, week, or month. Their home grew to become a lodge. The small community would not stay small long. The nearby Honeymoon Trail lay a scant 50 yards from Blanche’s front door. Many couples were traveling along the trail on their way to St. George, so they could visit the Mormon Temple and legitimize their marriage. Several of those newlyweds made their way back to the small community on the banks of Soap Creek and erected their own homes. Their thoughts were to settle down in a country that could have only been created by the hands of God. It seemed like a great place to start a family. The year 1926 began as all the ones that came before it. The small community was in the grasp of winter. The end of one year and the beginning of another always saw a large crowd gathered in Blanche’s kitchen. It was a joyous occasion, and one for celebration. The year before was a bountiful one. The coming year would be even better. What the people of the area did not realize was that fate would soon deal them a crippling blow. 1926 was not going to be the year they were hoping it would be. On the third day of February a cold wind blew down off the Vermilion Cliffs. Dark clouds hung low over the valley spread out before the small cluster of buildings. Early in the afternoon large snowflakes began to fall gently from the sky. The temperature continued to drop, and the snow began to accumulate. By nightfall the residents of the community were all safely tucked into their homes. When midnight arrived everyone knew they were in for a long night. The wind howled as it raced down the cliffs, the temperature plummeted, and the snow continued to pile up. When daylight began to brighten the area Blanche chanced a look out her kitchen window. Her gaze fell upon a scene that was more nightmare than reality. Due to the falling snow she could see but just a scant 10 feet or so beyond their home, and the drifting snow had gathered in a pile just inches below the windowsill. She walked back into the bedroom to wake Bill. Bill Russell had not had an easy night. The tuberculosis bacteria that called his body home had taken this occasion to rear its ugly head and strike with a debilitating strength. Blanche found Bill covered with perspiration and his body shivering with fever. When she gently shook him he woke with a racking cough. It had been years since he had been this ill. Blanche feared for Bill’s life. What would she do if something were to happen to the man she loved so? Three days after the storm began, the sun peaked over the Echo Cliffs and rose brightly into the sky, illuminating a whiteness that old-timers in the area said they had never seen in their lifetimes. The snow lay three feet deep across the valley floor, and in places where the drifts gathered it was measured at 15 feet and more. The sun’s brightness could not overcome the cold that had gripped the area. It was another two weeks before the temperature rose above freezing. By then the small community was running very low on food and heating fuel. The only thing they had in abundance was the snow that covered the land, and the ice that held Soap Creek captive. Meanwhile, Bill tossed and turned in bed, at times appearing a scant step away from death. Blanche concerned herself with one thing—keeping Bill alive. She spoon fed him soup, changed his bedding twice a day, and slowly nursed him back from death’s doorstep. She was not going to lose her man. Spring slowly descended upon the small community. The abundant snow of just a short six weeks earlier left its mark on the surrounding land. The desert was covered with the orange, purple, and red blooms of wildflowers, and new grass grew where none had grown before. The ranchers in the area looked to the future with hope. Their herds of grazing cattle would grow fat on the grasses that sprouted from the sand and rock. This would be the year that many of them got out of debt—or at least they thought they would. Bill Russell did not fare as well. He was slow to recover from the reoccurrence of the disease that invaded his body. Blanche was concerned for his health—both physical and mental. He was losing his optimism for the future. The man she lived with was nowhere near the man she married. The tuberculosis bacteria was slowly sapping his health. The disease had hit her husband hard this past winter. He was in as bad, or worse, shape than when they had left New York, however she was not about to give up hope for the man she loved. She continued to nurse him back from the brink of death. When summer arrived the snow and cold of the winter was forgotten. Life had returned to normal, and the residents of the small community nestled in the shadows of the towering cliffs saw nothing but hope for the future. Then the monsoons rushed in. The first thunderstorm of 1926 hit the area on July 5th. The day before had been a joyous one as the people in the area gathered around Bill and Blanche’s home. The small lodge and surrounding buildings were filled to overflowing. The people gathered at Cliff Dwellers enjoyed a great day. They had no forewarning of the storm that would disrupt their lives. At three minutes to five the first thunderbolt struck the ledge above the cluster of buildings, dislodging several large boulders. These giant rocks clogged Soap Creek, stopping the flow of water that the community depended upon. Because of the rains that fell from the sky, for the next two hours the residents were unaware that their precious, free-flowing water had dried up. Behind the dam of boulders and dirt a small lake slowly began to form. Once the rains stopped, several men, led by a weak Bill Russell, surveyed the dammed creek and came to a quick decision. Instead of dynamiting the clog they would construct a piping system that would allow the water to flow around the dam, and once again fill the creek bed. The plan was that they would eventually lay pipe to all of the houses gathered around the lodge, giving them all easily assessable water without having to haul it, by the bucketfuls, from the creek. For the next month the men worked on the project. They were almost completed with the first phase when August 2nd arrived. That day the clouds gathered earlier than normal and the men called an end to their work as the raindrops began to fall. Within a matter of minutes the water pouring from the clouds above was so heavy that a person could not see 20 feet. The rain was accompanied by lightning that struck all around the small community. The thunder was deafening. Without warning the earth and rock dam that held back a growing lake of precious water gave way. The resulting tidal wave rushed down through the small canyon, filling the creek bed to overflowing in a matter of seconds. The destruction was instantaneous. Death was quick. Four homes built on the banks of Soap Creek disappeared without a trace, the buildings and their residents swept into Marble Canyon. Blanche and Bill lost six outbuildings to the flood, but their home, and lodge, stood unscathed. They were two of the fortunate. In total, nine people lost their lives—only three bodies were recovered, the other half dozen thought to be washed into the Colorado River, and swept downstream with the tons of red dirt that colored the river. Ranchers who had, for years, called the area home said that the storm was the worst they had ever seen. It was a 100 year event, and would probably not happen again in their lifetimes. The neighboring Navajo claimed it was the work of a god who was upset over the way the growing community had disrespected the land. If the people could not live in harmony with nature, then nature would exact a price. Bill and Blanche Russell discussed leaving the area. Bill, however, was still too weak to travel long distances. They would wait for a better time. Four years after the devastating flood of 1926 life had still not returned to normal for the small community known far and wide as Cliff Dwellers. Several of the demolished structures had been rebuilt, but many had not. To the new settlers in the area the stories of the flood were just that—stories. It did not seem possible that this hot, dry land could ever be visited by a storm of such magnitude. For the people who had been present for that nightmarish event, the loss of friends and loved ones weighed heavily on their souls. Many of them left for greener pastures far away. Those that stayed prayed that 1926 would not be repeated in their lifetimes. Bill Russell did not regain the health he had when he returned from war. The tuberculosis racked his body. The disease was winning the battle. Blanche’s idea of moving west to help Bill recover from the deadly disease was an act of love that allowed Bill a few more years of life. She reasoned that if it worked once, it would work again. She would do anything to keep from losing her husband. After a visit by Bill’s cousin, Blanche thought it might be time to complete their journey. The couple had started out with Cedar City, UT as a destination. They had not made it. Now might be the time to complete the trip they had begun a decade ago. Maybe being around family would help in Bill’s recovery. Word spread in the small community, and the surrounding area, that Bill and Blanche Russell were considering moving north. It was evident that something was afoot. They had acquired a slightly used flatbed truck, and were quietly giving away things they wouldn’t be needing in their new life. A local rancher by the name of Jack Church heard that the lodge and trading post that Bill and Blanche had established would soon be empty. He had spent many a good times in the place and hated to think that its doors might be closed for good. Late one night in June, 1930 Jack Church became the new owner of Cliff Dwellers Lodge. The money he paid for the land and buildings would go a long way in helping the former owners establish a new life near Cedar City. On the morning of June 26th Bill and Blanche Russell began their journey towards their new home. It would be tough going, driving north between the Kaibab Plateau, and the area that towered over the place they had called for the past ten years. The red dirt of Southern Utah held hope. A new life waited for the couple. Blanche was going to see to it that Bill got the best of medical attention. She reasoned that it would not be long and her husband would, once again, enjoy a healthy, robust life. History is not kind to Blanche Russell. Once she and Bill left the small community on the banks of Soap Creek they were lost to the world. There is no mention of where they settled, or the life they led. Blanche left her mark on Northern Arizona and for that she will always be remembered. Bill was a leader to the people of the area, but how many more years he lived no one will ever know. Bill Russell was the driving force behind the woman that tamed the area west of Lee’s Ferry. Blanche Russell was that woman. She came, she saw, she conquered, and she moved on. I’d like to take this moment to thank you, the reader, for taking time out of your day to allow me the opportunity to share with you a short work of fiction based on the factual life of a woman who so loved her husband that she forfeited a life on the East Coast for a challenge on the banks of Soap Creek. If anyone knows what happened to Bill and Blanche Russell when they left Cliff Dwellers please feel free to leave a comment so that I, and the rest of the world, might know the rest of the story. If you like a digital copy of this story, you can download it here. This entry was posted in reading, the arts and tagged reading, the arts by Jim. Bookmark the permalink.